Quick post before tea. I made a masterboard inspired by Jo Firth Young's masterboard on Paper Artsy's blog. I used a piece of A5 (European) and stamped some JOFY stamps all over in Versafine Onyx Black, then used Tattered Rose, Bundled Sage and Ripe Persimmon Distress Inks to watercolour splodges on and around the images. Then I chopped the piece to the size I wanted. Beautiful card. I love the effect you've created with the watercolour splotches. This is such a pretty card, Shirley! I love how it came to life after you added the Ripe Persimmon...so artistic, and the color palette is really beautiful! Really pretty, those are lovely colours. Absolutely gorgeous! I can't believe you made that gorgeous pattern! So glad you're joining us this week at Colour Me...! This is gorgeous! I am always so afraid of water-colouring, but you are definitely the inspiration I need to give it a go. Your card is absolutely fantastic! Just incredible watercolouring... it looks like a piece of designer paper! 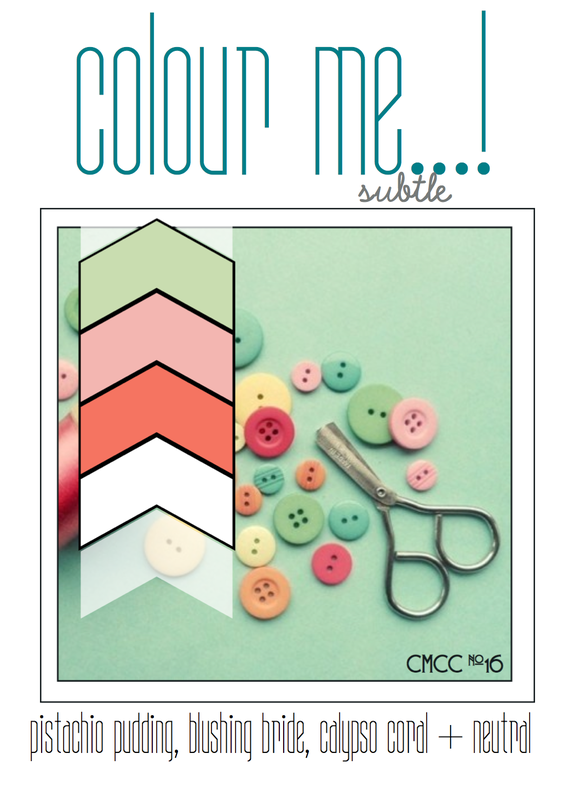 I am so glad you joined us this week at Colour Me...! Just gorgeous! The colours are subtle and soothing opn the eye! Gorgeous! I never heard of a masterboard, but this is super....love the lined images and how you colored them!